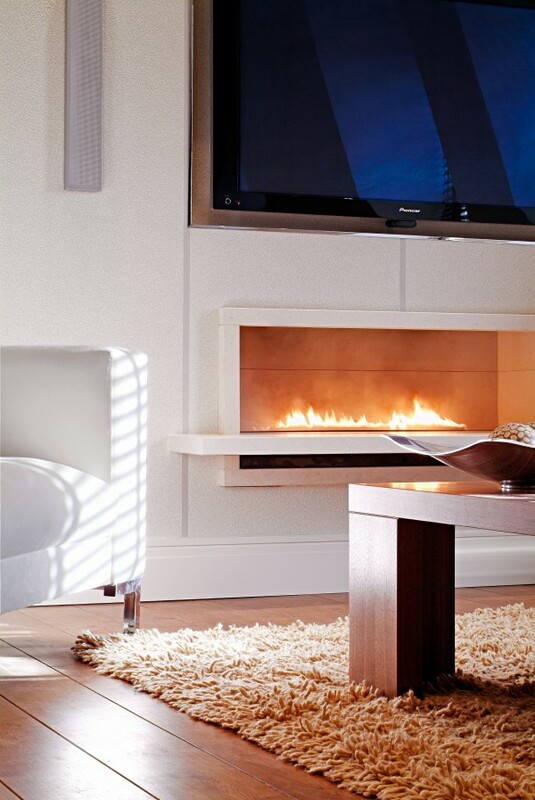 FIREBREAK is a truly glamorous Hole in the Wall gas fireplace with a 1100mm wide enclosure, 1500mm wide floating hearth and our stunning ribbon burner. 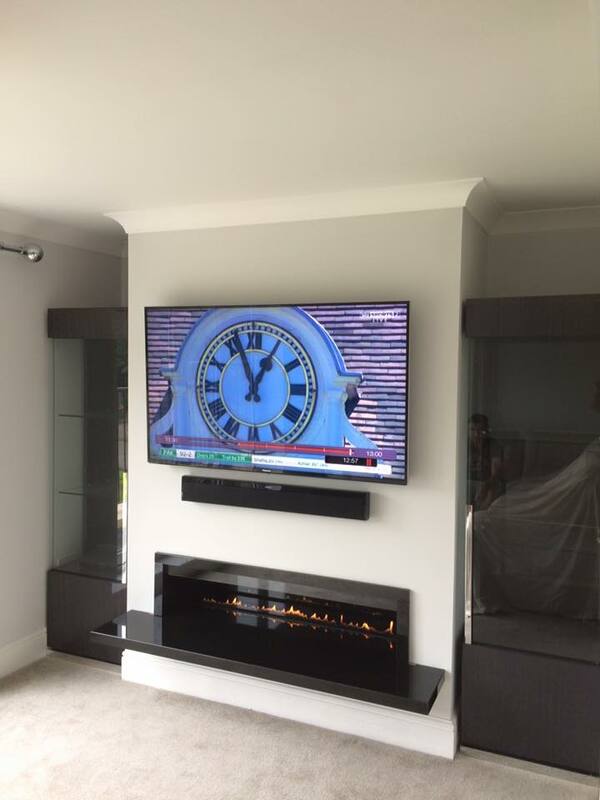 The fire is supplied with a steel fire box and gather to make installation easy and a full natural stone enclosure in either Limestone or Black Granite. 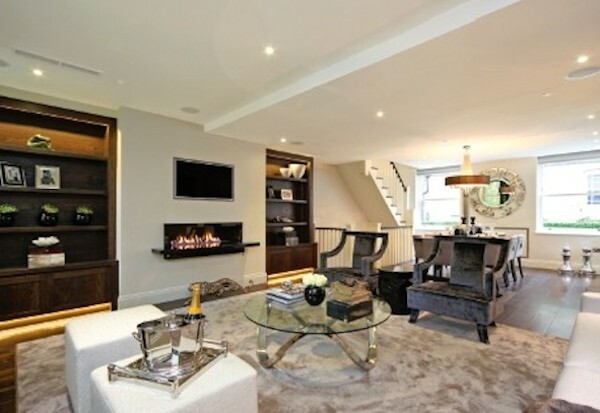 This is a large and impressive fireplace built to a very high standard. A polished bronze version is available upon request. FIRE BREAK 1600mm Wide Ribbon Gas Fire is a truly glamorous Hole in the Wall gas fireplace with a 1100mm wide enclosure, 1500mm wide floating hearth and our stunning ribbon burner. 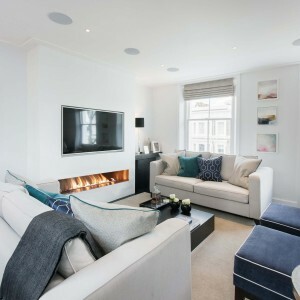 The fire is supplied with a steel fire box and gather to make installation easy and a full natural stone enclosure in either Limestone or Black Granite. 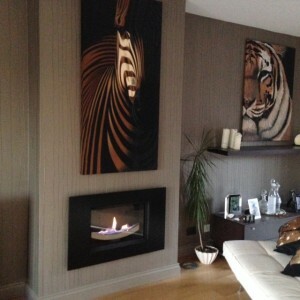 This is a large and impressive fireplace built to a very high standard. A polished bronze version is available upon request. The fire is supplied as a complete assembly with steel fire box, gather, stone, gas burner and mains remote control system (on/off and up/down). Please read the technical information prior to ordering. 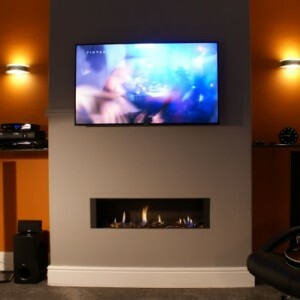 The gas fire has been designed to make easy installation into both old and new properties. 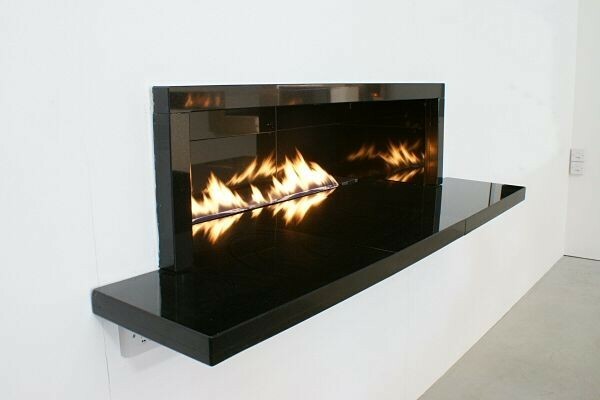 The gas fire is supplied with a steel enclosure in which the stone is housed. This makes installation very straight forward. A gather is supplied with the fire, this improves the efficiency. The gather can also be used to connect the fire to a flue liner. The gather must be used during installation. The gas burner is operated by battery powered remote system with thermostat. Buy British! Hand Made in the UK using locally sourced materials. Bespoke variations available upon request. Choose from Portuguese Limestone or African Black Granite. Other stone types upon request. Hand Polished Bronze available upon request. This is a large powerful fire and need a strong gas supply. 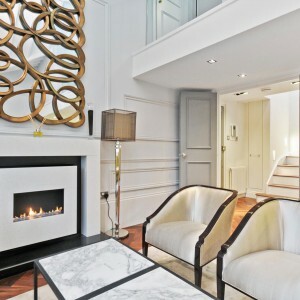 Enclosure & Hearth: Choose from Limestone, Black Granite or Polished Bronze. Gather: The gather is specially designed to link the enclosure to a flue liner and has a 200mm spigot. The gather must be used with this fire as it will prevent the debris falling into the opening from the chimney, stabilize the flame and maximize the efficiency. 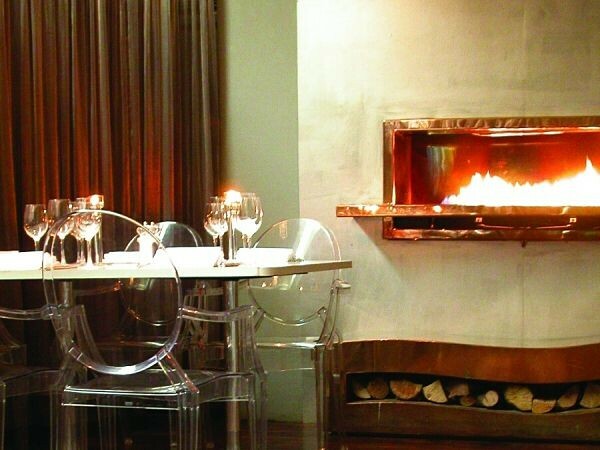 Power Supply: The fire supplied with a 240v Mains powered remote control system.